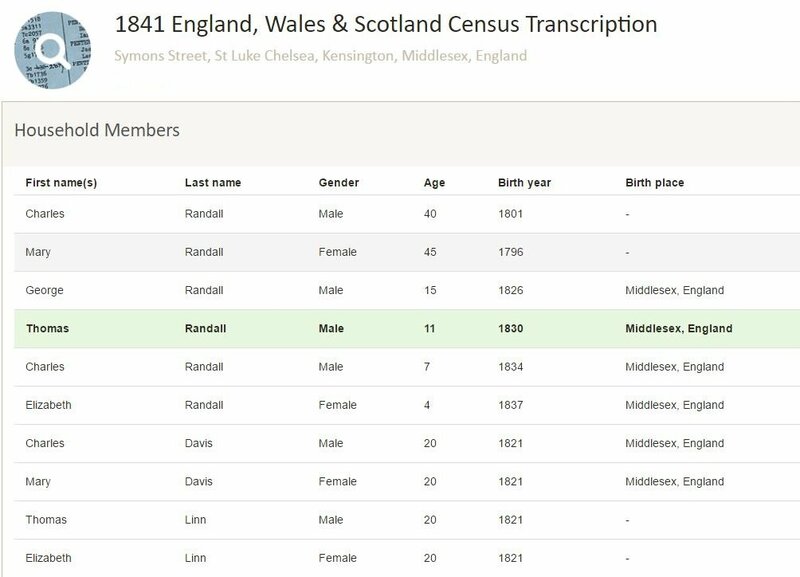 Name variations: Randall, Randals, Randel, Randell, Randle. 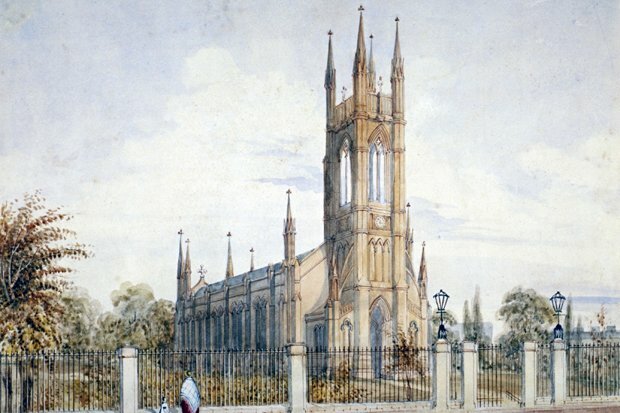 Birth date and place 3 Sep 1829 St Luke, Chelsea, Middlesex, England. 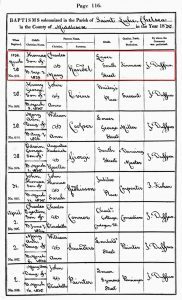 Baptism date and place 28 Mar 1830 St Luke’s Church, Chelsea, Middlesex. England, Wales & Scotland 3 Symons Street, St Luke, Chelsea, Middlesex (1841). Physical Description Height: 5 ft. 7 ins. Complexion: fresh. Eyes: hazel. Hair: brown. 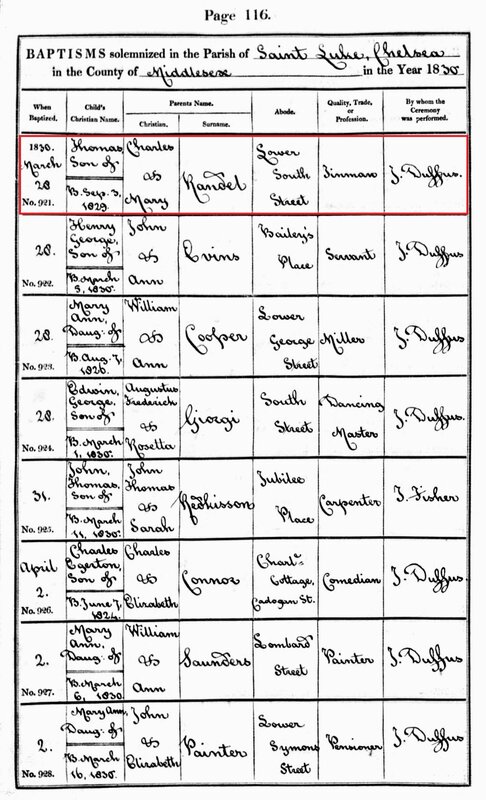 Marriage date and place 2 Nov 1857 Fremantle, Western Australia. Children Mary b. 1858, Fremantle, Western Australia. Robert Michael b. 1860, Fremantle, Western Australia. Regiment No. and Rank #3108 Private. Attestation date and place 6 Jul 1847 Westminster, Middlesex. Service/Campaigns North America 3 years. The East (Crimea) 1 year. 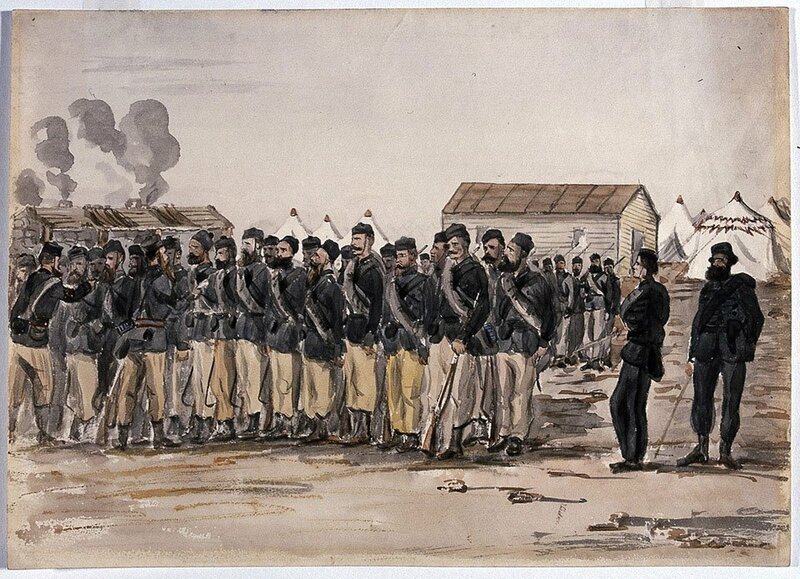 Musters 1851 Kingston, Canada [WO12-10142]. Casualty/Medical Disabled by slight contraction and lameness after wound of flexor tendons of left thigh by a fragment of shell received 18th Oct 1854. Unfit for the service [23 May 1855, Chatham]. Discharge date and place 12 Jun 1855 Chatham. Length of Service 7 years 342 days. Post Discharge Residence Symons Street, Chelsea. Pension Amount 8d. per diem. Increased to 1/2d. per diem on 18 Jan 1881 for service EPF. Temporary Assistant Warder, Perth Prison 1859 [Barker p.176]. 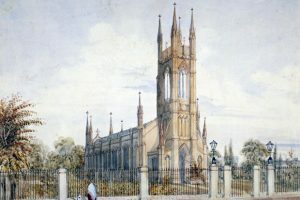 3 Symons Street, St Luke, Chelsea, 1841. 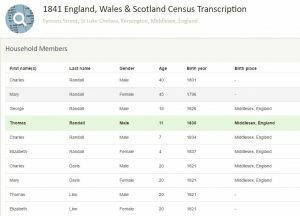 Census recording Randall Family.